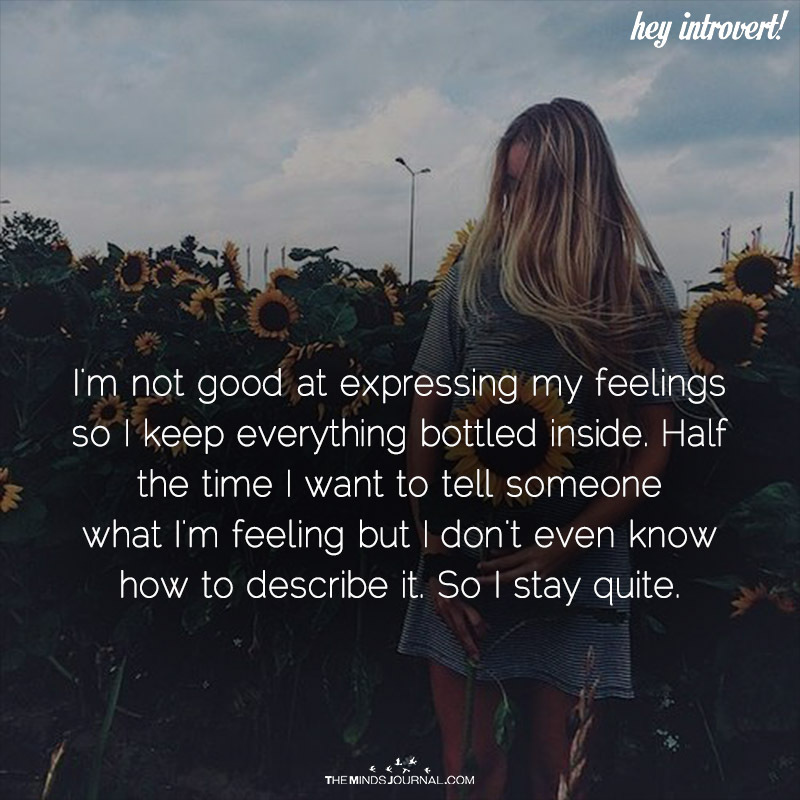 I’m not good at expressing my feelings, so I keep everything bottled inside. Half the time, I want to tell someone what I’m feeling, but I don’t even know how to describe it. So I stay quiet.